So now is the time I will give it to ya! I wanted to wait and not add it to my post last night because 1. I was running super late and my boyfriend was wanting me to come join him for our nightly Entourage watching and 2. because I wanted to try one out for myself, rather than relying solely on my boyfriends thumbs up, before giving you the recipe! So I had one last night and they were really yummy! Yes, a success with my first plantain experience! 😀 Subtly sweet from the plantains, chocolately from the brownie pieces and a nice lil crunch from the random nuts and cacao nibs that were added into the batter. A lil bit of everythang in there. Just look at those brownie chunks! So good. Slice up your plantain and sautee in the 1 tsp of coconut oil on medium/medium high heat. When they have caramelized on both sides and start sticking to the pan, add some water (few tbsp at the most) to the pan (be careful as it will spit a little bit), swirl it around and pop a lid on it. What you are doing here is first caramelizing (through sauteing them) the plantains to release more sweetness and then steaming them to heat them through more so you can mash it all up into a puree. When the majority of the water has been soaked up, begin to mash up the plantains and continue to add water and pop the lid back on until all of the plantains have been mashed up. Take off the heat and set aside. Pulse half of your oats into a flour (1/4 cup of oats). Add your oat flour to a large bowl and then add the rest of the dry ingredients to the bowl and combine. Crack the egg into a separate bowl and whisk until it’s all broken up. Add the rest of the wet ingredients (with the exception of the coconut oil as it will solidify again as the ingredients are cold) and combine until the peanut butter is broken up and distributed. 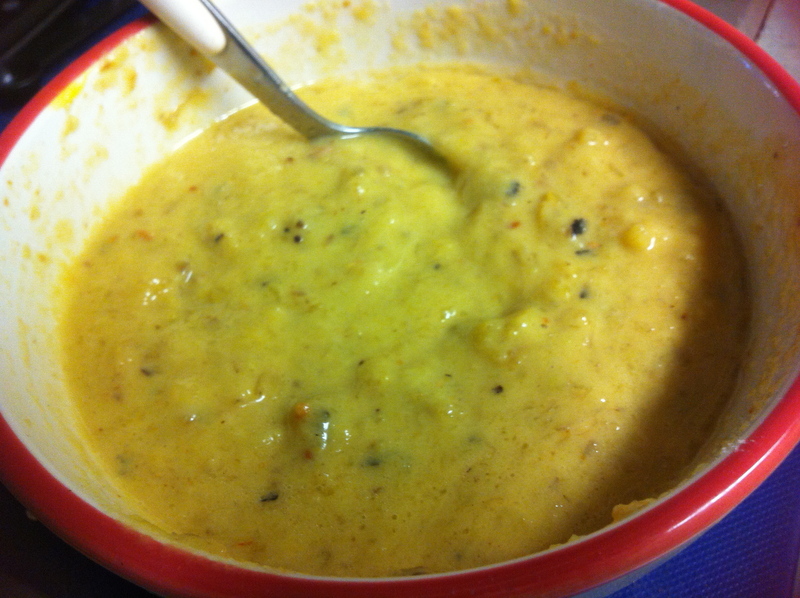 Add the plantain mixture to the wet ingredients and mix well, mashing any larger lumps. Chop up your brownie Questbar (if using) into chunks and fold those and the cacao nibs into the batter. Pour your batter into 6 large (or 12 smaller) sprayed muffin molds and bake covered (aluminum foil tented) in the oven until the muffins have set in the middle and when a toothpick inserted into the centre it comes out clean. 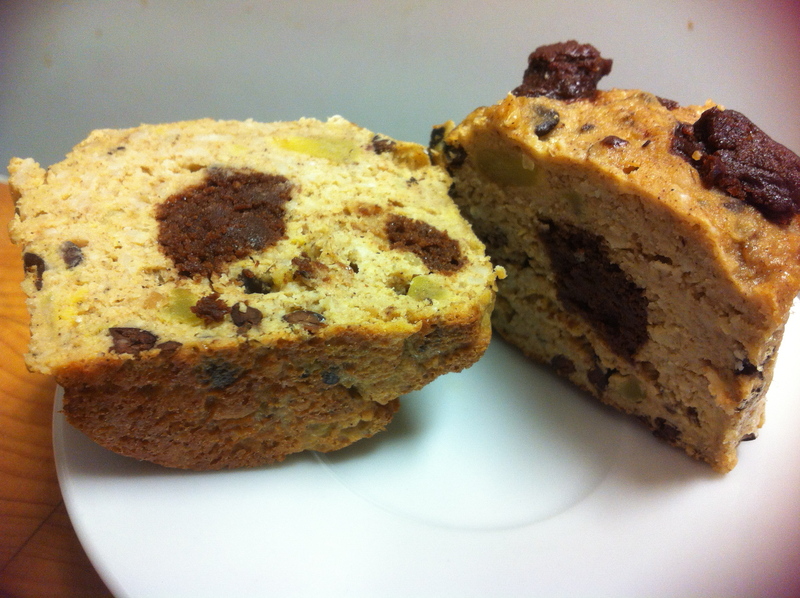 Mine, which I baked into 6 larger muffins, took about 25 minutes to bake. Remove from the oven and let cool before flipping them out of the muffin tins. 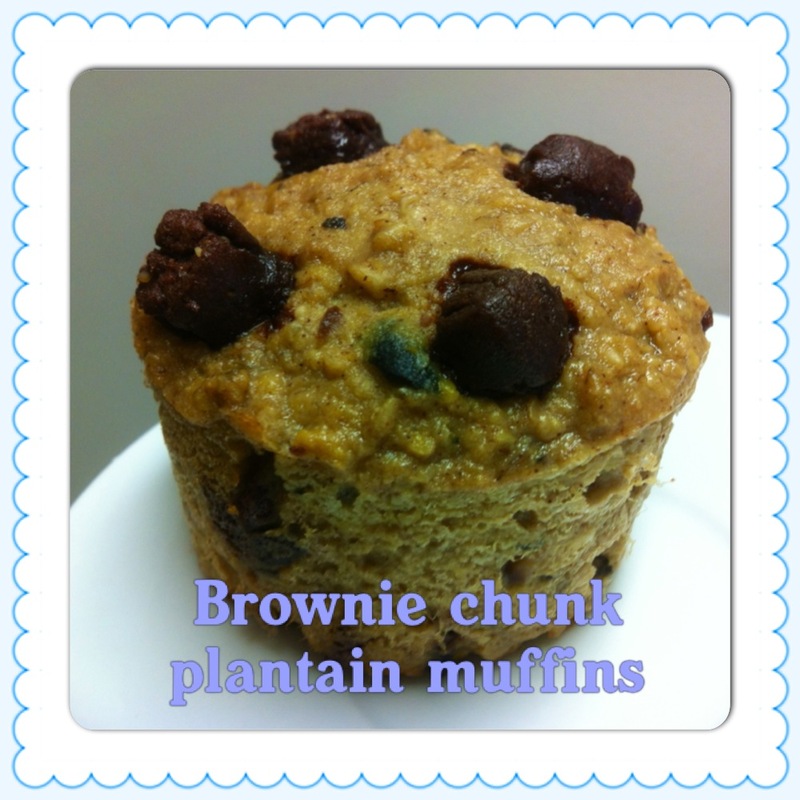 Categories: Recipe | Tags: Baking, Brownie, Candyfit, Chocolate, Healthy Muffin, Link Up Party, Muffin, Plantain, Plantain Muffin, Questbar, Recipe Friday, Snack | Permalink.